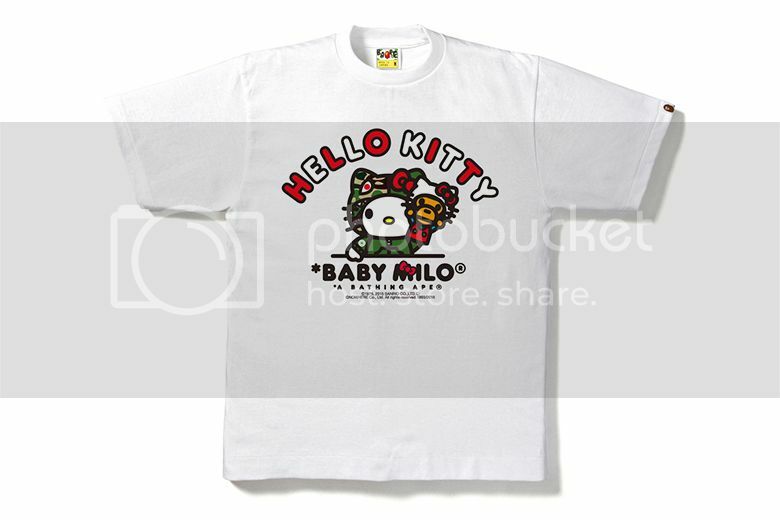 Having been part of the Sanrio Family since April this year, A Bathing Ape‘s Baby Milo now invites the ever-popular Hello Kitty over to his side of the fashion world for this 2014 capsule collection. The vast range of both male and female pieces for all ages includes Camo Shark Hoodies, Crewnecks, several T-Shirt styles, Jersey Dress hoodies, baby Coveralls and baby Capes, as well as a cushion, Baby Milo plush toy, Tote bags, iPhone 6 cases and even a mug. 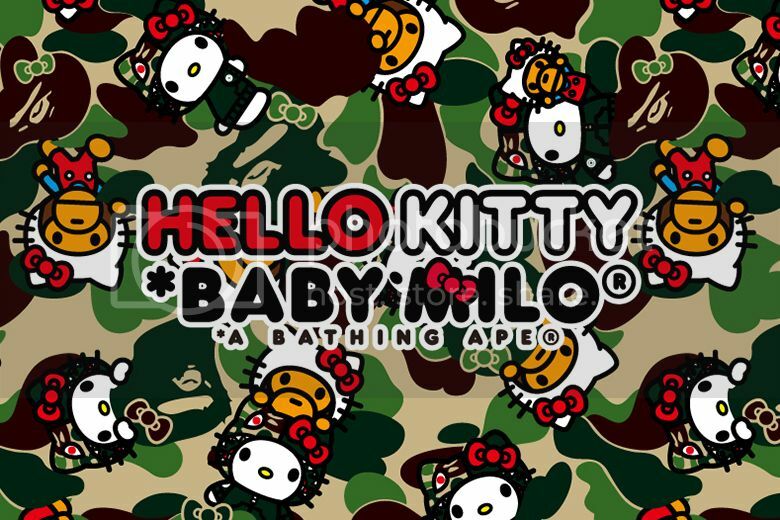 For the collaborating effort, the two brands have merged both its motifs by placing Hello Kitty’s famous red bow on to BAPE’s Ape Face, while also dressing Baby Milo up in a Hello Kitty costume and Hello Kitty in classic BAPE Camo attire. 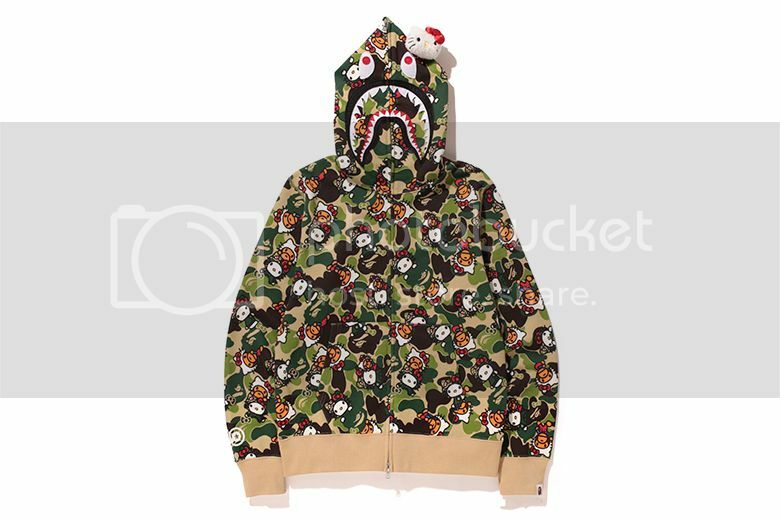 The designs are then used throughout the collection, which will be available January 2 of next year only at A Bathing Ape stores in Japan.